If you are making use of our Curbside Service, kindly include the make, model, & color of the vehicle in which you'll be picking up your order within the Special Instructions box when placing your order. Our Chef's awesome dip served with homemade tortilla chips. Served with Crispy Onion Rings. Shrimp and Jalapeno wrapped in bacon. Grilled and served with Gator Sauce. Boudin Balls, Stuffed Jalapenos, Zulu Tenders, Catfish Strips (No substitutions). Tossed in Caesar dressing and topped with croutons and Parmesan Cheese. Gulf shrimp and White Lump Crab Meat over mixed greens served with our House Made Remoulade. With shrimp, crab and crawfish. with Andouille sausage, shrimp and okra in a thick dark roux. Fettucine pasta in a cream based sauce with red and green bell peppers. Penne pasta tossed in a creamy tomato based sauce with mushrooms, shallots. red and green bell peppers, smoked sausage and crawfish topped with Blackened Shrimp. Penne pasta sauteed with olive oil, mushrooms, red and green bell peppers, tomato, garlic and assorted herbs and spices. Served with Loaded Mashed Potatoes and Veggies. All items available blackened. Shrimp (4), Catfish Fillet (1), & Stuffed Shrimp (1). 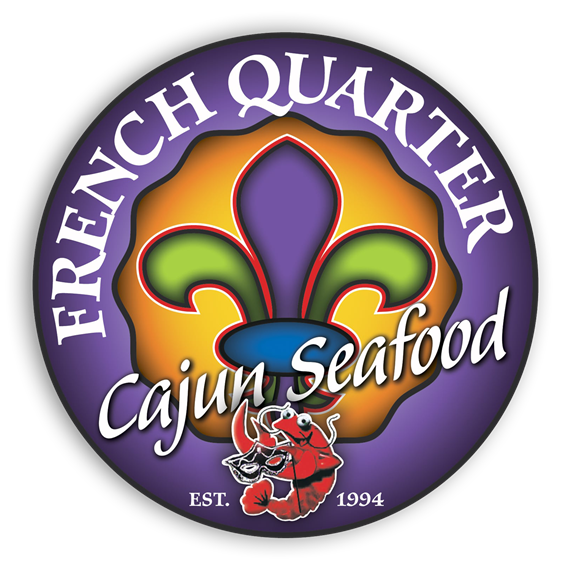 Shrimp (4), Catfish Fillet (1), Stuffed Shrimp (1), Oysters (4), & Stuffed Crab (1). Catfish Fillet stuffed with crab meat dressing and topped with our Vermillion sauce - served with a side of white rice and vegetables. Fried catfish fillet served with cornbread and red beans and rice. Pasta tossed in our cream based sauce with red and green bell peppers and topped with a blackened catfish fillet. Served with dirty rice and vegetables. Grilled salmon fillet topped with a lemon butter cream caper sauce - served with potato felix and vegetables. Blackened Redfish fillet with a creamy basil sauce, topped with sauteed lump crab meat and blackened shrimp - served with potato felix and vegetables. Fried eggplant topped with lump crabmeat, sauteed crawfish, and broiled shrimp in a creamy basil sauce. 10 Blackened Shrimp served over our Orleans Fettucine pasta with crawfish tails. 5 Fried shrimp and Crawfish etouffee served with dirty rice. 2 Blackened Catfish Fillets topped with crawfish etouffee, dirty rice and vegetables. 8 Blackened Bacon Wrapped Shrimp served with potato felix and vegetables. Served with a Soda and French Fries or Veggies. Pasta excludes choice of French Fries or Veggies.